But "difficult" doesn't mean impossible. Often, people with these conditions can wear contacts quite successfully. Let's take a closer look at each situation – and possible contact lens solutions. Astigmatism is a very common condition where the curvature of the front of the eye isn't round, but is instead shaped more like a football or an egg. 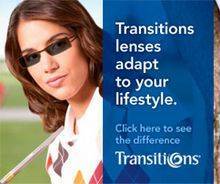 Astigmatism won't keep you from wearing contact lenses – it just means you need a different kind of lens. If you have dry eyes, the first step is to treat the condition. This can be done in a number of ways, including artificial tears, medicated eye drops, nutritional supplements, and a doctor-performed procedure called punctal occlusion to close ducts in your eyelids that drain tears away from your eyes. Certain contact lens solutions are better for dry eye than others. Be sure to ask one of our doctors which contact lens solution is best for you at your next visit. Keratoconus is a relatively uncommon eye condition where the cornea becomes thinner and bulges forward. The term "keratoconus" comes from the Greek terms for cornea ("kerato") and cone-shaped ("conus"). The exact cause of keratoconus remains unknown. Please be aware that specialty contact lenses and their fitting fees for eye diseases such as keratoconus are sometimes a covered benefit under your vision insurance plans (such as VSP, Eyemed, etc. ), ask one of our staff members to verify those benefits for you.